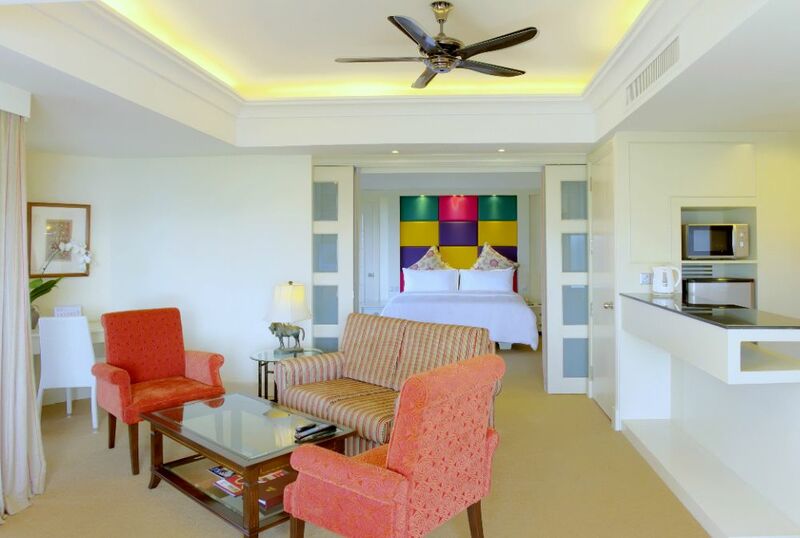 The Magellan Sutera Resort in Kota Kinabalu is a magnificent 5-star resort with 456 rooms and suites. The grand entrance is a majestic longhouse style lobby; an architectural tribute to the Rungus natives of Sabah. With fine timber furnishings and traditional handicraft artefacts, this resort is a favourite with families and couples and those seeking a relaxing, tropical holiday in Borneo. 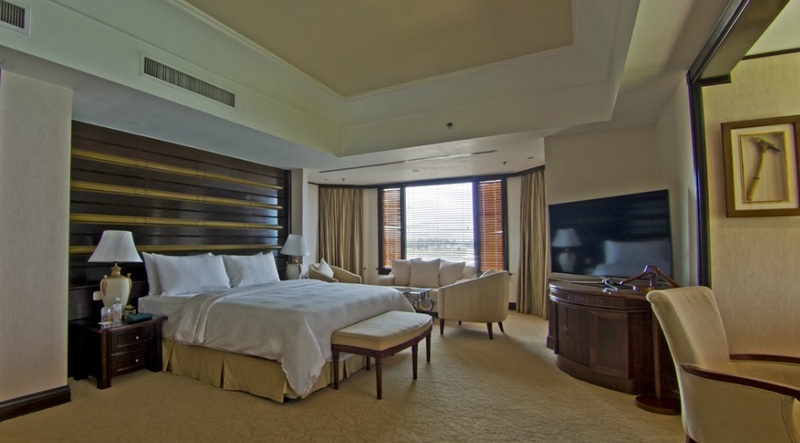 The suites are lavishly decorated and present fabulous views of beautifully manicured gardens or the South China Sea set against a backdrop of the islands of Tunku Abdul Rahman Marine Park. 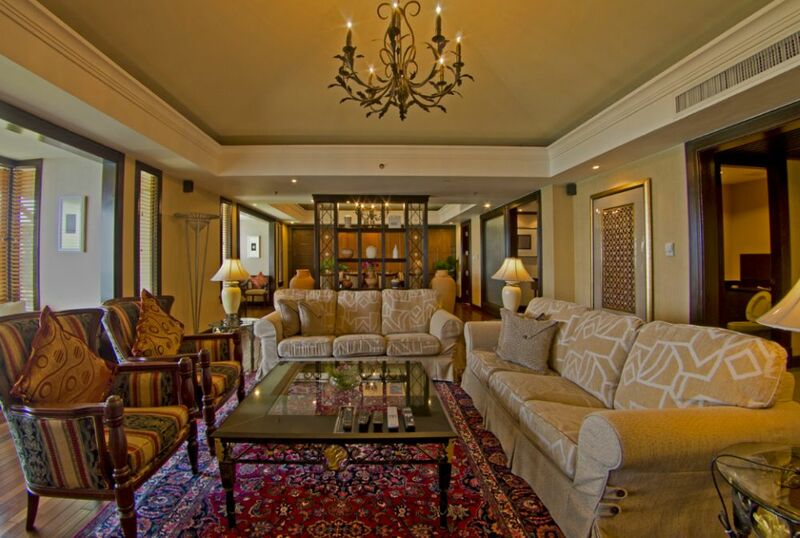 The villa types are classified into Deluxe Garden View, Deluxe Sea View, Mangellan Club, Deluxe Suite, Magellan Suite and Presidential Suite. Each elegant accommodation is fully air-conditioned, built with a private balcony and is fitted with a private toilet and bath with shower and tub. 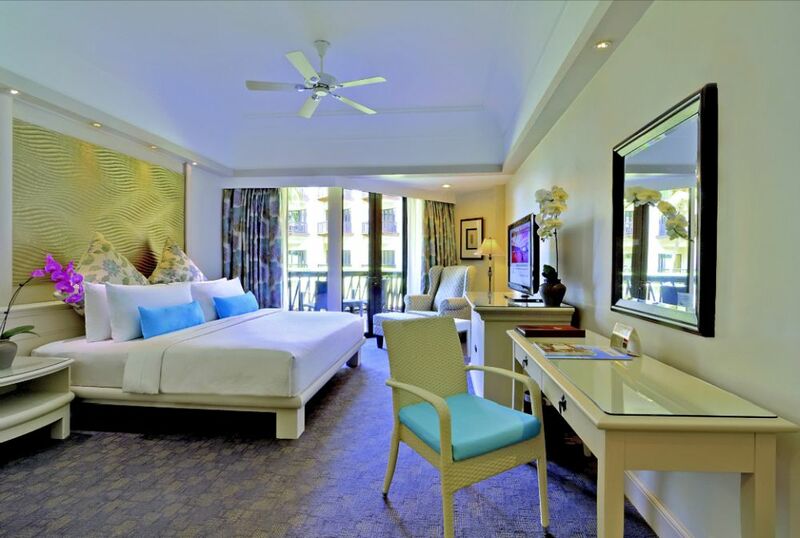 Each of the Deluxe Garden view rooms at The Magellan 5 star luxury resort in Kota Kinabalu features modern and elegant appearance, creating a warm and relaxed ambience. 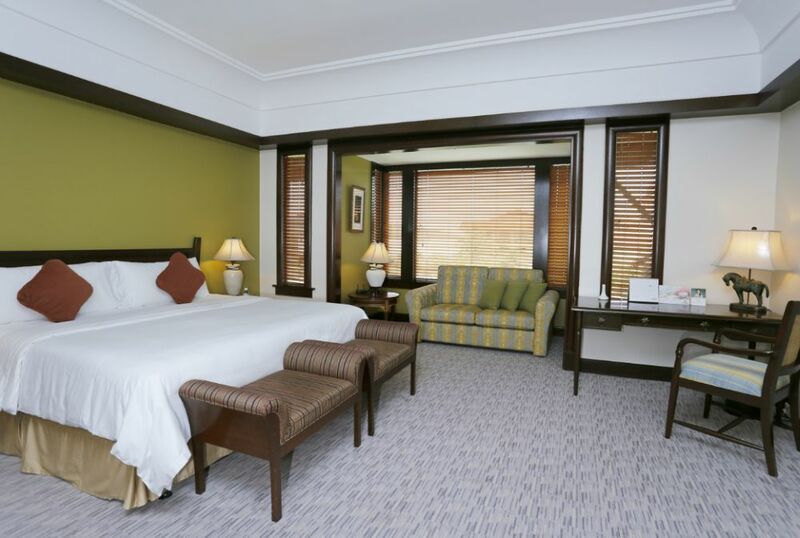 From the balcony, standard with each deluxe garden view room, looking out over the tropical landscaped gardens brings you closer to the adventurous of the Borneo. 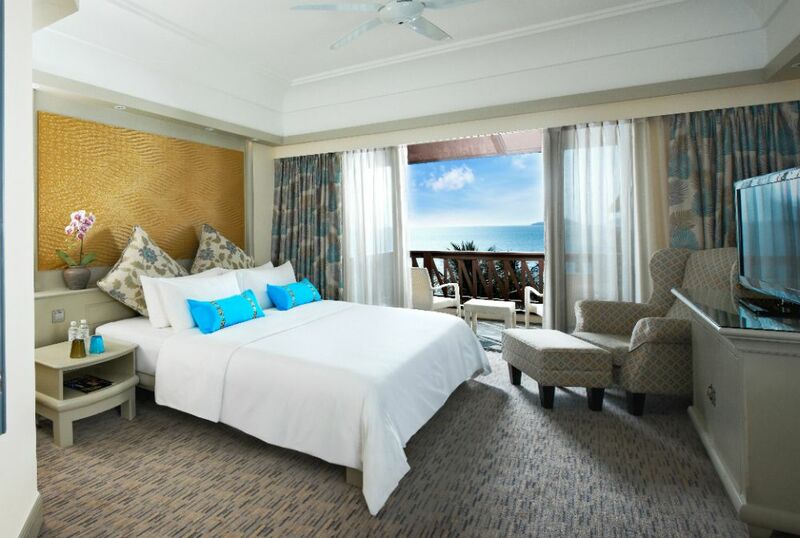 Sparkling oceans and tropical islands, the treasures of the blue waters in the nearby marine park lapping at the Resort’s edge, these are the perks of the deluxe sea view room. 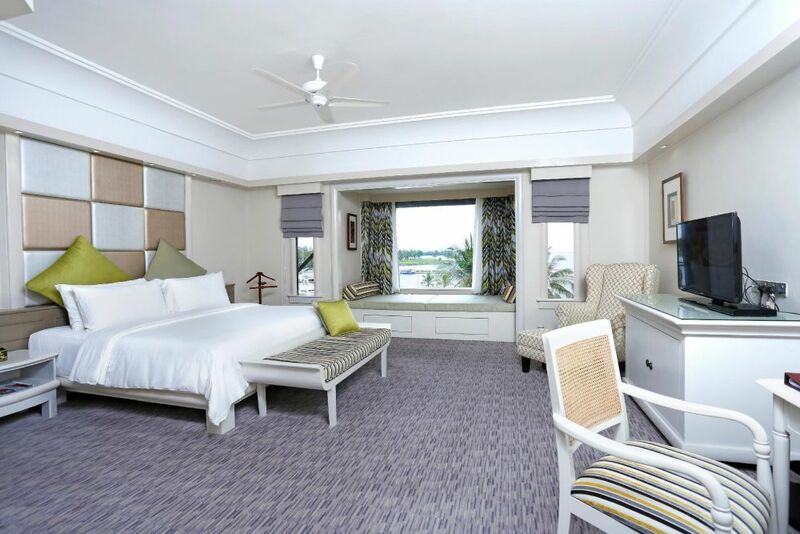 All sea view rooms at The Magellan 5 star luxury resort in Kota Kinabalu will take a modern and elegant appearance, creating a warm and relaxed ambience for all guests whilst the balcony faces towards the island dotting the yonder horizon. The additional space of the Club Room is augmented by the panoramic view of the sea or the landscaped, tropical garden just beyond the window. The ultimate luxury is extra space and adding to the already luxurious trimming and finishing of The Magellan Sutera is the spacious Deluxe Suite. In addition to the guest room and bathroom, a living room and dining area make you wish you could make it your permanent home. 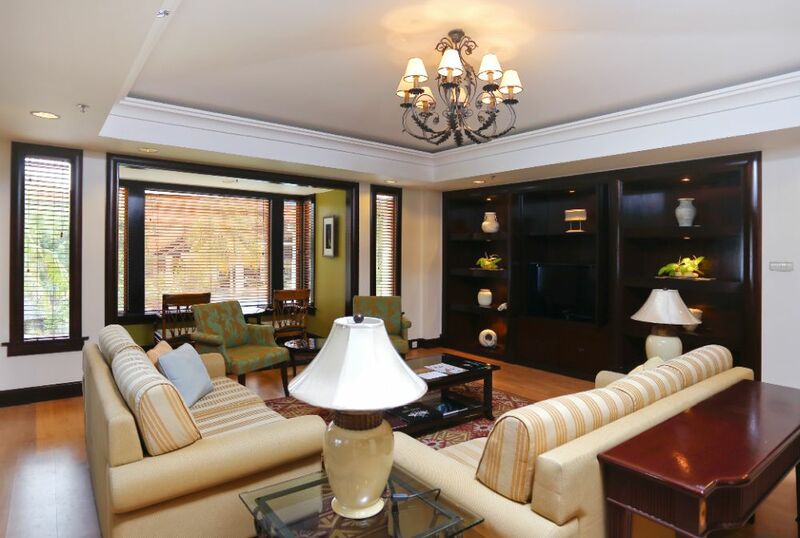 The Magellan Club Suite is stylish and spacious, with a large living room and dining area with a view, emphasizing the ethos of Sutera Harbour Resort unique and memorable. The swimming pools at our hotels are beautifully landscaped and surrounded by greenery, flowers and palm trees alongside white, sandy beaches overlooking the South China Sea and the tropical islands nearby. The free-form pools and Olympic sized lap pool at the Marina commands fabulous views of the entire resort and all the yachts. Our pools are accessible to guests of all ages and are patrolled by experienced and friendly lifeguards. The Magellan Sutera Resort enjoys a private and exclusive beachfront area overlooking the South China Sea and its tropical islands of Tunku Abdul Rahman Marine Park. A great spot to enjoy a favourite drink in hand while catching the majestic sunset while on holiday in Kota Kinabalu, Sabah. For your convenience, there is a well-known company, SeaQuest Tours, located at our marina jetty which provides island hopping packages, snorkelling and diving trips, as well as water sports such as jet-skiing and more, all at an additional charge. The boats leave from the hotel’s private jetty. Child day care centres for children between the ages of 3-12 years old. Daily fun activities to keep the kids entertained. Open daily from 9 am to 10 pm. Offers an exclusive range of signature Sutera Harbour Resort merchandises and souvenirs as well as a selection of sundries and toiletries. Opens daily from 7 am to 10 pm. We love families and want everyone to enjoy their time with at the resort. Our outdoor playground within the resort offers children a great place when they need to burn some energy and play! The children playground is equipped with slides, sandpit, climbing frames and swings. Relax and unwind to therapeutic Balinese massages at the Mandara Spa at The Magellan Sutera. Renowned for its quality, an excellence of service and finesse, guests are pampered in beautifully decorated rooms or under the open-air pavilion. Featuring six single and six shared treatment rooms in a double storey facility, the Mandara Spa offers each guest an exceptional spa experience with treatments and traditional beauty recipes originating from Bali which capture the healing and nourishing essence of nature with only the finest and freshest, indigenous ingredients. Listed as one of Malaysia's best restaurants by Malaysia Tatler, Ferdinand's is a world class Italian restaurant offering the most exquisite fine-dining experience served with style, charm and attention to detail open only for that perfect night out. Five Sails restaurant offers a daily selection of international and Malaysian favourites for breakfast and dinner buffets. A deli cafe with a seating capacity of 70, both indoor and outdoor, offering an extensive selection of freshly-made sandwiches, garden salads, signature muffins, cakes and refreshing beverages ranging from milkshakes, iced coffees, frappuccinno, coffee and tea. Tarik’s Lobby Lounge at the farthest end of the vast, magnificent lobby presents panoramic sea views and overlooks the free-form swimming pool. Perfect for coffee during the day or a sunset cocktail at night it offers a delicious selection of alcoholic and non-alcoholic beverages, a snack menu and live entertainment at night. Malaysia’s famous pulled tea, the ‘Teh Tarik’, is one of the main attractions at Tarik’s. Include FLIGHT + 3D2N: From S$520*per person! Exclude FLIGHT + 3D2N: From S$300*per person! Include FLIGHT + 3D2N: From S$565*per person! Exclude FLIGHT + 3D2N: From S$345*per person!